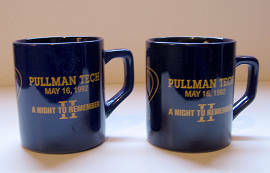 Dark Blue ceramic mugs from a Pullman Tech reunion held on May 16, 1992. 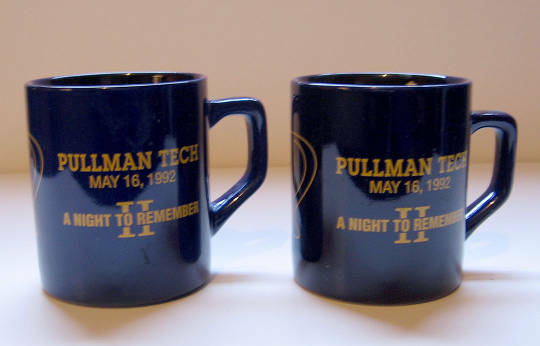 "A Night to Remember"
Description Dark Blue ceramic mugs from a Pullman Tech reunion held on May 16, 1992. "A Night to Remember"